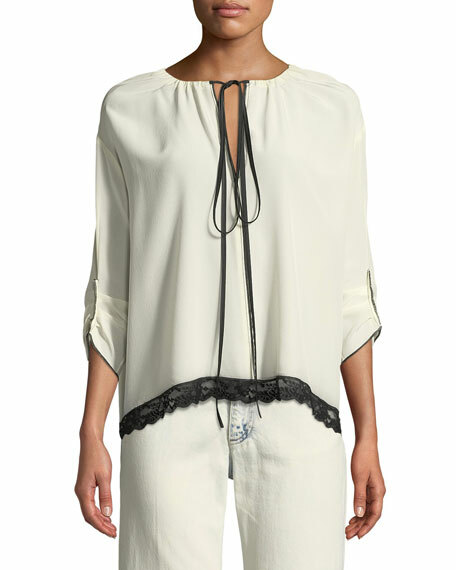 Marc Jacobs silk blouse with lace trim. 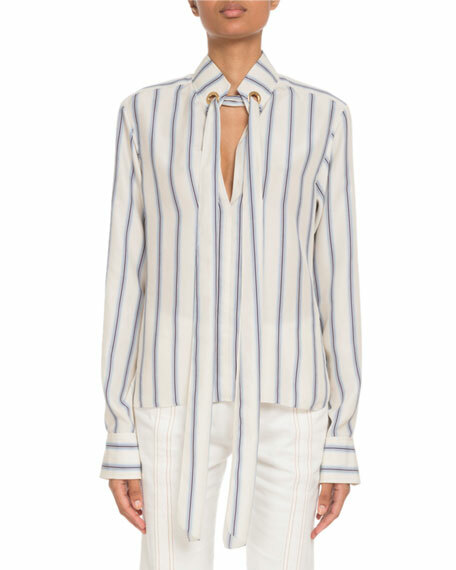 ALICE + OLIVIA JEANS "Boyd" silk blouse with oversized ties. Spread collar; concealed button front. 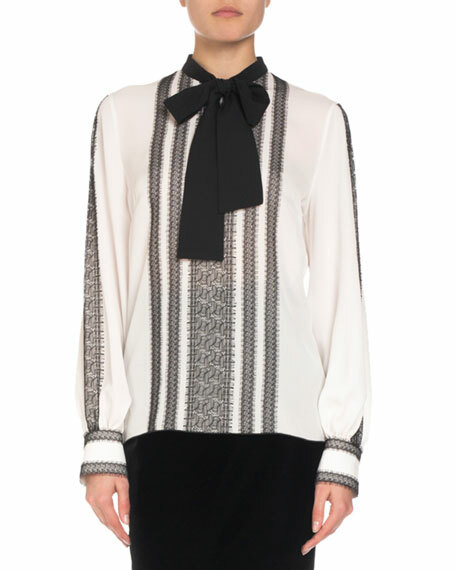 Long sleeves; cuffed ends. Relaxed silhouette. Straight hem. Silk. Imported. 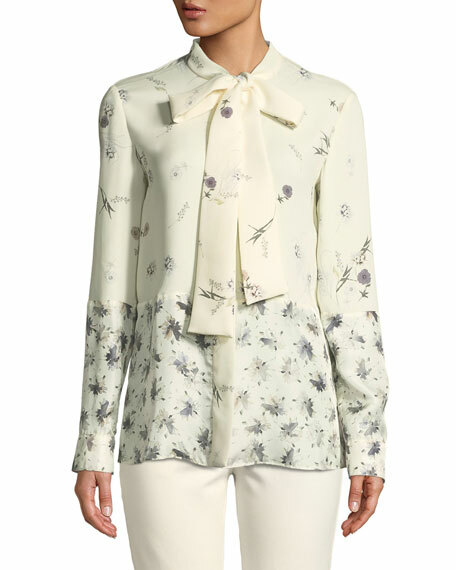 Derek Lam blouse in mixed floral pattern. 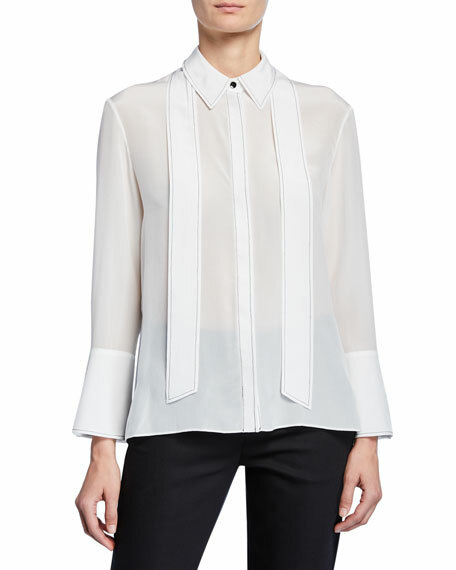 Tie neckline; placket front. Long sleeves; button cuffs. 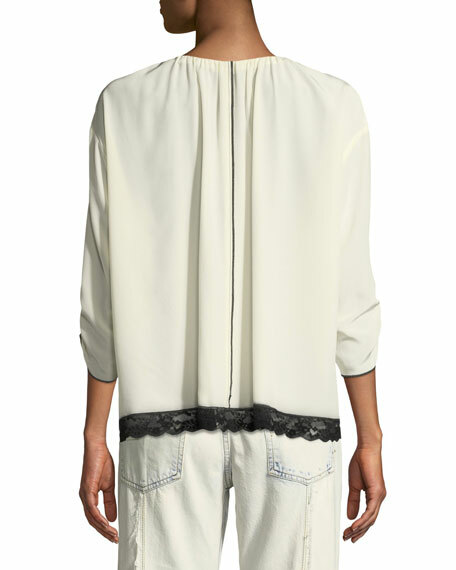 Hidden button placket front. 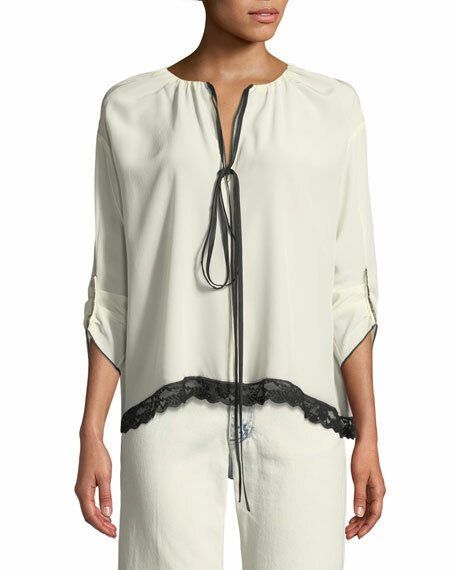 Wide, contrast hem. Silk. Made in Italy.